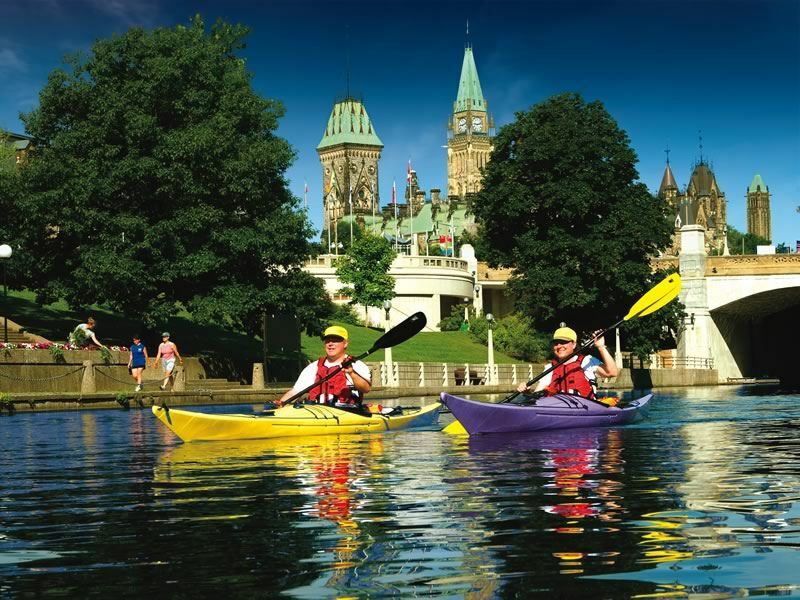 It’s all big cities and even bigger outdoorsy thrills in Ontario, Canada’s most populated province. With every stop more photo-op worthy than the last, this is one of the few places on the planet to offer such a brilliant mix of city glamour, natural splendours, top-notch museums, and world-class wineries. We check out 10 of the best things to in Ontario, a region where the slogan YOURS TO DISCOVER is stamped on every licence plate. Where: On 301 Front St W in the heart of downtown Toronto. What: What looks like a giant hypodermic needle piercing the Toronto skyline is CN Tower - the tallest structure in the Americas and the third-tallest freestanding tower in the world at 553.33-metres-high. Classified as one of the Seven Wonders of the Modern World by the American Society of Civil Engineers, what functions as a telecommunications hub is home to five unique attractions. There’s also three dining spaces - the coolest of which is the revolving restaurant 360 that has a huge European-style ‘cellar in the sky’ with a 9,000-bottle storage capacity. Highlights: While the SkyPod and even higher LookOut Level offer cracking views, the new EdgeWalk takes things to another level. It’s Toronto’s most extreme urban attraction, where the very brave get to take a hands-free walk on the 150-metres-long and 1.5-metres-wide outside ledge that encircles the top of the Tower’s main pod. Thankfully, you’ll be attached to an overhead safety rail via a trolley and harness system. Where: Winding its way from Ottawa South to Kingston Harbour on Lake Ontario. 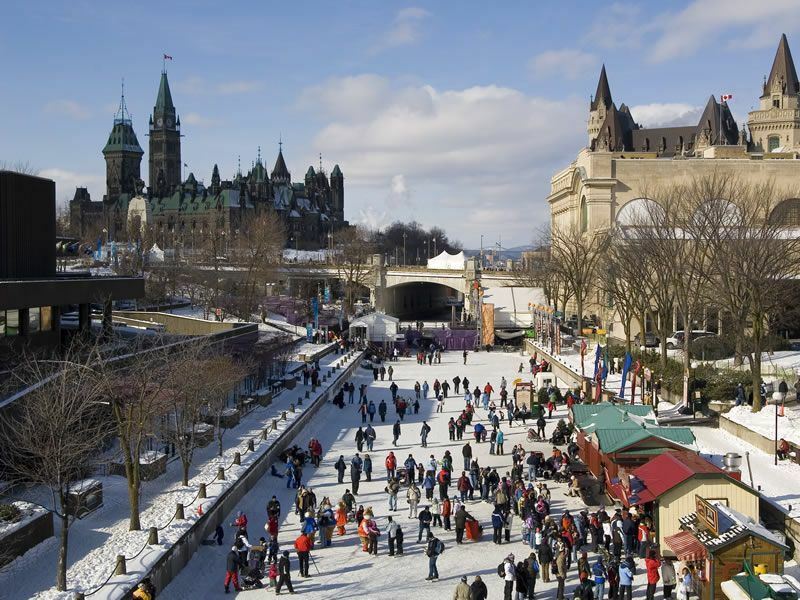 What: It’s all twists and twirls at the Rideau Canal in the wintertime when this iconic waterway turns into the world’s largest naturally frozen ice rink. Open for 24-hours a day between January and late-February (weather depending), the nearly five-mile-long Skateway begins just steps from Canada’s Parliament Buildings and extends to Dows Lake, just north of Hog's Back Falls. Skating is free and there’s rental outlets galore for skates, sleighs and safety helmets. Highlights: As you attempt to glide along the ice with the greatest of ease, keep your eyes peeled for the Skateway’s heated log cabins where you can stop to tie your laces, get your blades sharpened, or just warm up. Equally worthy of your attention are the food kiosks selling hot chocolate, apple cider, hot dogs, and beaver tails - the delicious, deep-fried and sugary pastries with cinnamon or other sweet toppings. There’s also picnic tables at various points along the way, as well as skate patrollers, ice safety workers and first aiders. Where: On 317 Dundas Street West in Toronto. 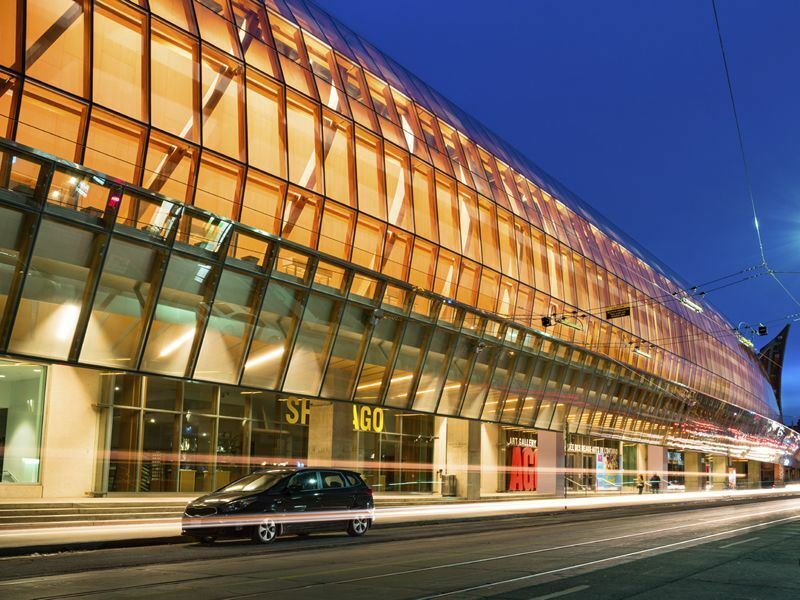 What: Following renovations in 2008 by Pritzker Prize-winning architect and Toronto native Frank Gehry - the genius behind the LA’s Disney Concert Hall and Bilbao’s Guggenheim Museum - the 583,000-square-foot space known as AGO houses over 5,000 works in 110 galleries. Arty types can while away the hours marvelling at historical Canadian art as well as marvelling at cutting-edge and contemporary exhibits, photography, drawings, architecture, installations, and much more. The museum is closed on Mondays. Highlights: Must-sees include Peter Paul Rubens’ 17th-century masterpiece The Massacre of The Innocents, Pieter Bruegel the Younger’s The Peasants’ Wedding, the First Nations and Inuit carvings, and The Henry Moore Sculpture Centre. For more of a modish kick, don’t miss SuperReal: Pop Art - this ongoing temporary exhibition in Gallery 129 has three of the AGO's most important artworks: Claes Oldenburg's Floor Burger, Andy Warhol's Elvis I and II, and Robert Rauschenberg’s Story. Where: Just south of downtown Toronto, enclosed by Lake Ontario. What: A crowd-pleasing mix of kid-sized theme park thrills and urban farm fun, Centreville Amusement Park offers over 30 rides and attractions for children aged three to eight. There’s a groovy-looking antique carousel, small ferris wheel, miniature train, sky gondola, and pony rides. Add to the mix mini golf, bumper boats, log flume and mini rollercoaster and your kids will never want to leave. It costs around £13 for 25 tickets, with some rides requiring up to six tickets. 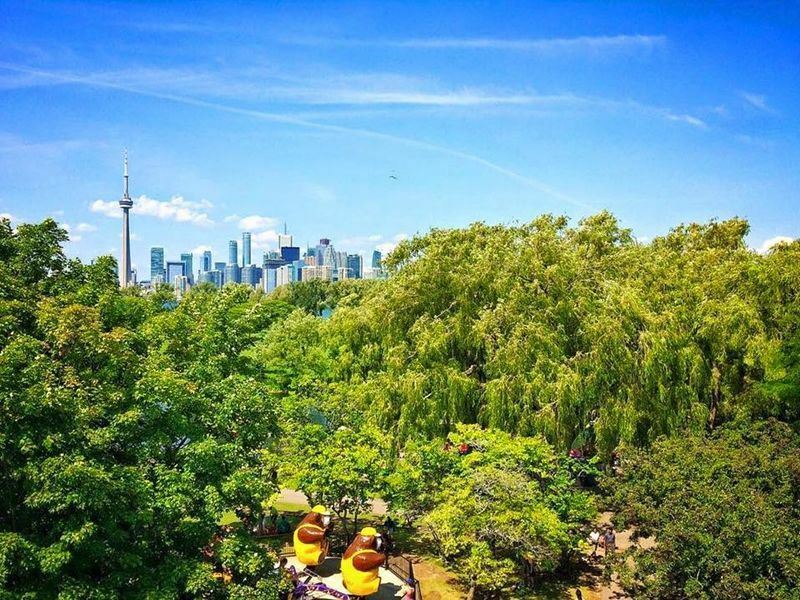 Highlights: Once you’ve exhausted the park, stroll over to Far Enough Farm on the south-east corner of Centre Island. Here you’ll get to hang out with over 40 species of farmyard animals and exotic birds including mini-potbelly pigs, horses, mini ponies, sheep, horses, guinea pigs, emus, and more. There’s also the chance pet the animals, meet the farmers and farm hands, and play all sorts of farmyard games. Where: Niagara-on-the-Lake, Niagara Escarpment & Twenty Valley, Lake Erie North Shore & Pelee Island, and Prince Edward County. 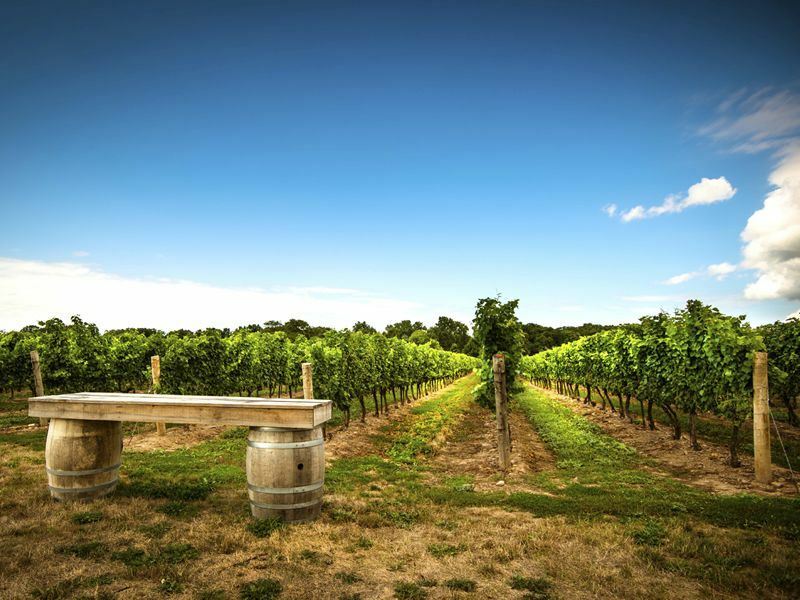 Highlights: Niagara-on-the-Lake gets all the glory for its pristine selection of large estates, medium–size operations, and small boutique wineries. Most have tasting rooms where you can sample rare vintages, special reserves, new releases and small batch specialties; others tempt with wine-education seminars, hands-on activities, and behind-the-scenes tours. The best places to sip on Canadian wines here include Caroline Cellars Winery, Joseph’s Estate Wines, Reif Estate Winery, Peller Estates Winery, Jackson-Triggs Winery, and Chateau des Charmes Wines. Where: In south-central Ontario, around 300 kilometres north of Toronto. What: For those keen to get back to nature, this sprawling 7,800-square-mile outdoor playground lures with a sublime landscape of maple hills, rocky ridges, valleys, forests, rocky bluffs, and deep crystalline lakes. Backcountry camping is a must-do here - just roll up at any one of 1,900- campsites and set up your tent. If possible, try to avoid staying here on long weekends during July and August as it’s usually packed. 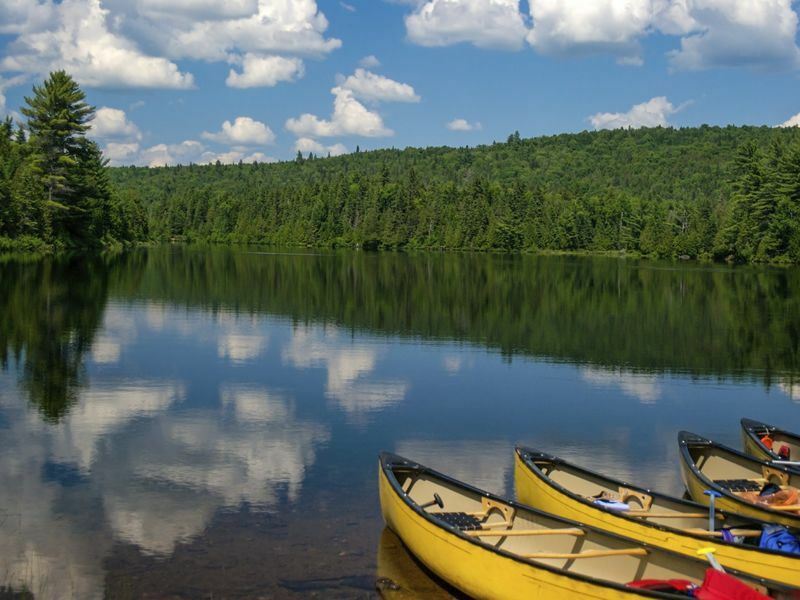 Highlights: Depending on the time of year, biking, dog sledding, fishing, cross-country skiing, snowmobiling, swimming, snowshoe hikes, guided walks, and conducted hikes are available. But what's most fabulous about this protected slice of Canadian wilderness is the vast web of waterways, easily navigable by canoe or kayak. While paddling, keep your eyes peeled for some incredible wildlife; there’s over 130 types of breeding birds as well as bears, wolves, moose, beavers, hares, moles, chipmunks, shrews, foxes, skunks, and more. Day permits are valid from 7am to 10pm and include access to park’s trails, museums, beaches, and picnic grounds. Where: At 100 Queens Park in the heart of downtown Toronto. What: Since its 1914 opening, the ROM has revealed crucial works by key period designers. 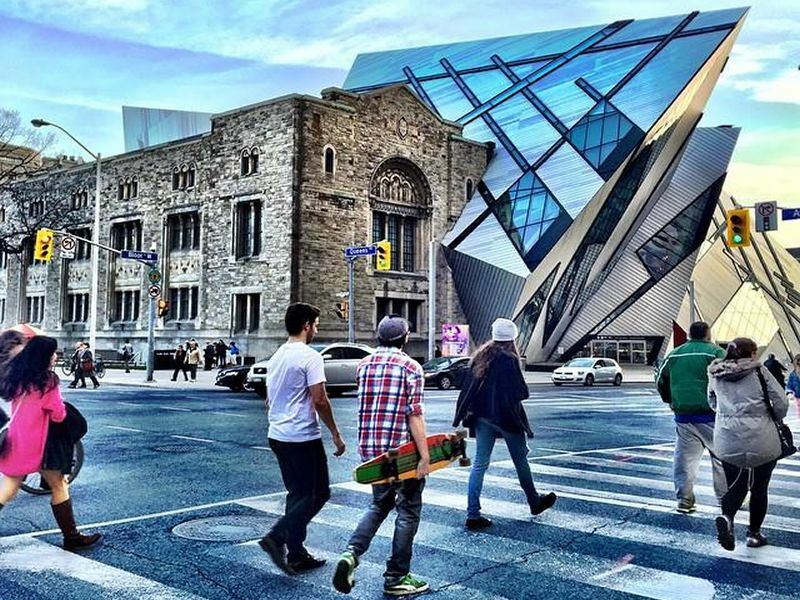 Nowadays it’s Canada’s largest museum housing six million artefacts in its collections and 40 galleries dedicated to the natural world and world cultures. On arrival, it’s impossible not to be wowed by Polish-American architect Daniel Libeskind's glass and aluminium-clad extension wing that was added onto the original heritage buildings in 2007. Highlights: Must-sees include the Egyptian sarcophagus of the Djedmaatesankh mummy dating back to around 850 BC, the Allosaur Dinosaur skeletons, and the cedar crest poles carved by First Nations tribes. Fashionistas will adore the Patricia Harris Gallery of Textiles & Costume on level four, while those with an interest in Chinese art will be blown away by the tomb of the Ming Dynasty and the spectacular temple sculptures. Where: Between the Northern New York State (US) and Southeastern Ontario (Canada). 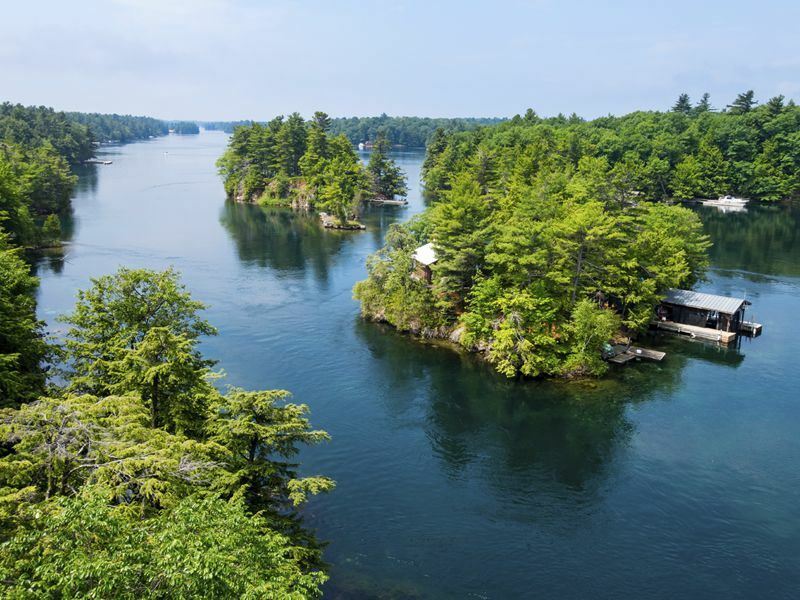 What: A spellbinding archipelago dotted with exactly 1,864 tree-filled islands, the Thousand Islands (also 1,000 Islands) is the archipelago that spans both banks of the St. Lawrence River. Once known by the native Indians as Monatoana (meaning Garden of the Great Spirit), it’s a nature-lover’s paradise fuelled by endless shorelines, green forests and unique cultures; from the large Wolfe Island right down to the tiniest of the chain known as Just Room Enough Island. Highlights: Must-dos include booking a river cruise or chartering a fishing boat, visiting Boldt Castle on Heart Island, marvelling at over 300 restored boats at the Antique Boat Museum, and spending time at Wellesley Island State Park’s Minna Anthony Common Nature Center. Make time to hit the Gananoque Walking Trails and also visit the Frederic Remington Art Museum, Singer Castle on Dark Island, and Aqua Zoo on Alexandra Bay. 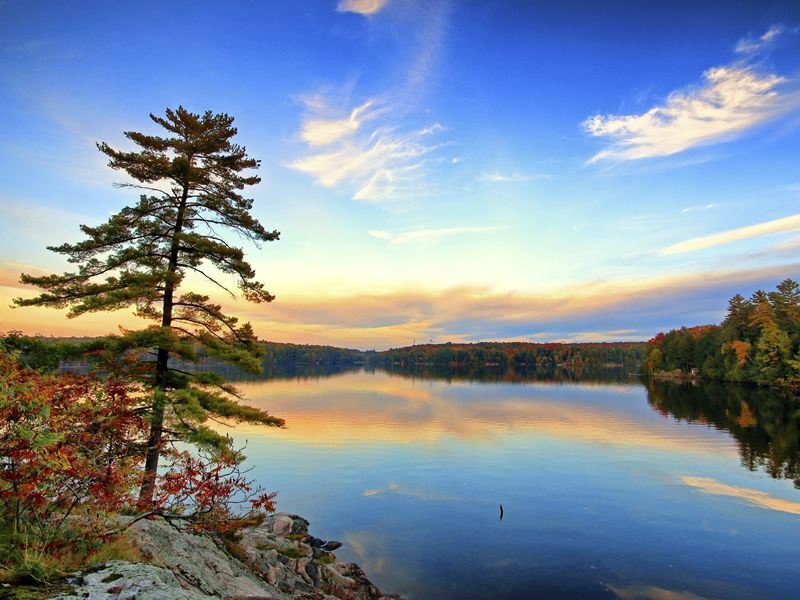 What: It comes as no surprise that Ontario (meaning Land of Shining Waters) is home to over 400,000 freshwater lakes, rivers and streams. Head 90-minutes north of Toronto for Muskoka’s thundering waterfalls, aromatic pine forests and dense maple forests surrounding three glittering jewels: Lake Muskoka, Lake Rosseau and Lake Joseph. Alternatively, escape into the Canadian wilderness to enjoy boating, camping and fishing at Lake of the Woods - this angler’s hotspot spans 70 miles and has more than 14,000 islands. Highlights: Roadtripping just got cooler around the deep-blue waters of Lake Superior - the largest of the Great Lakes of North America group that’s shared by Canada and the US. There’s a staggering amount of things to do here; from waterfall-watching, fishing, scuba diving, kayaking, hiking and cycling to hitting the unique boutiques, restaurants and museums. But if you don’t fancy mapping out the itinerary yourself, book yourself onto one of the 1,300-mile Lake Superior Circle Tours. Where: Straddling the US-Canada border, between Ontario and the state of New York. What: The spectacle that is Niagara Falls never fails to amaze. Made up three separate parts - American Falls, Bridal Veil Falls, and Canadian Falls (also known as Horsehoe Falls) - they move a staggering three-quarters of a million gallons of water per second over a 167-foot-drop. 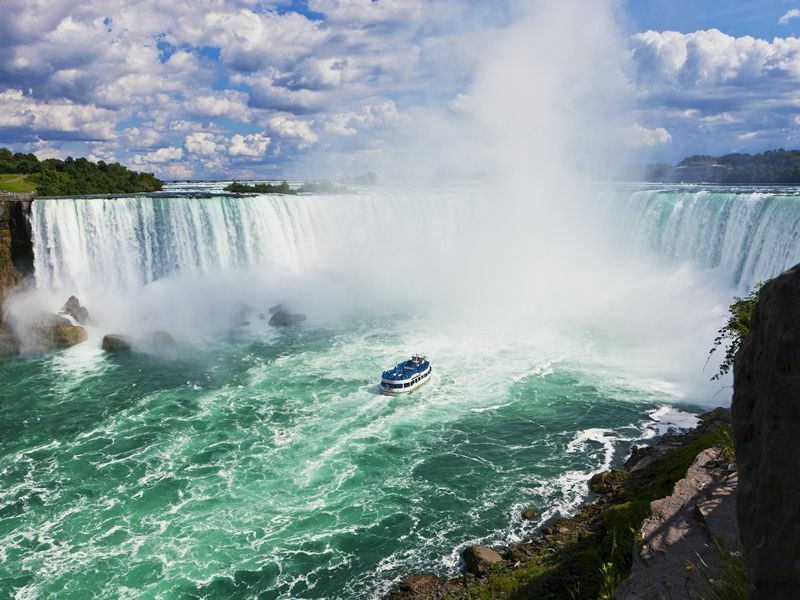 And while the visuals are mind-blowing from the Niagara Sky Wheel, Skylon Tower and suspended Whirlpool Aero Car, nothing beats the awe-inspiring sights by air or boat. Equally compelling is to soar above this natural wonder from the seat of a helicopter. A nine-minute ride costs £75 per person with Niagara Helicopters.